I am a circus performer and one half of the Gravity Dolls – who create our very own unique brand of physical theatre that combines circus, theatre and design that is performed in around and above the audience. It would have to be something that is active and that helps people, like Acupuncture and Clinical Mesotherapy or Personal Training. Dislocate, Punch Drunk, DV8, Legs on the Wall, Aaron Walker, Trisha Dunn, MC Escher, Nick Cave, David Bowie, Leonard Cohen, Richard Roxburgh and Sam Shepard. Because they are unique, they push the boundaries and masters of their craft. I would find a way to divert the money that is spent on military across the world and direct it towards funding the arts to make a global platform for artists everywhere to display, perform, create and share their work. Well I haven’t really been on a holiday anywhere, but I have been to France to perform, so I would like to go back to the south of France again and catch the Circle Festival in Auch. All of my friends are already in town … so I guess I would just take them to a the few nice little café’s/restaurants like I like to go to in the Northcote area, where I now live, or around the Prahran area, where I used to study. The script for My Life in Boxes, which Tarah Carey has done a fantastic job on. Just a few of my all time favorites, Nick Cave, David Bowie, Leonard Cohen, Pink Floyd and Paul Kelly. An ongoing pursuit that is to be shared in as many different ways as you can with as many different people as you can. In the short term, opening the first season of My Life In Boxes at The Substation. Beyond that, get cracking on developing a more impressive reading list, and applying for festivals and curated events around Australia and over seas! A goal is to create a sustainable career for the Gravity Dolls, and ideally be in the position to pay other artists to regularly play with us. Starting out in gymnastics at age six, Tim Rutty’s love for physicality has seen him perform circus internationally and regularly around his home city, Melbourne. 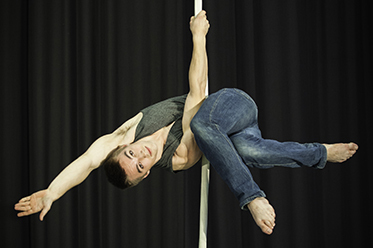 A graduate of the National Institute of Circus Arts (NICA), his recent credits include 34e Festival Mondial du Cirque de Demaine and Made Too Fit in Auch. 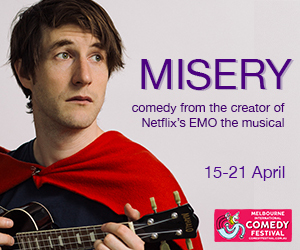 Tim is appearing in My Life In Boxes at The Substation (17 – 22 September) as part of the Melbourne Fringe. 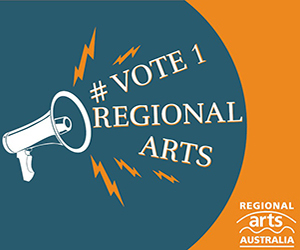 For more information, visit: www.thesubstation.org.au for details.